On Monday, August 21st, 2018, the Argentine Embassy in Seoul received an Argentine delegation from the Ministry of Agroindustry, headed by the Secretary of State for Agroindustrial Markets, Mrs. Marisa Bircher, who was accopanied by the President of SENASA, Dr. Jorge Dillon and the President of the Institute for Promotion of the Argentine Beef (IPCVA), Mr. Ulises Forte, among other officials. During their stay in the Republic of Korea, the delegation held meetings with high ranking officials from the Ministry of Agriculture, Food and Rural Affairs (MAFRA); with the Director General for Animal and Plant Inspection of the Quarantine Agency (APQA) and with the Ministry of Food and Drug Safety (MFDS). 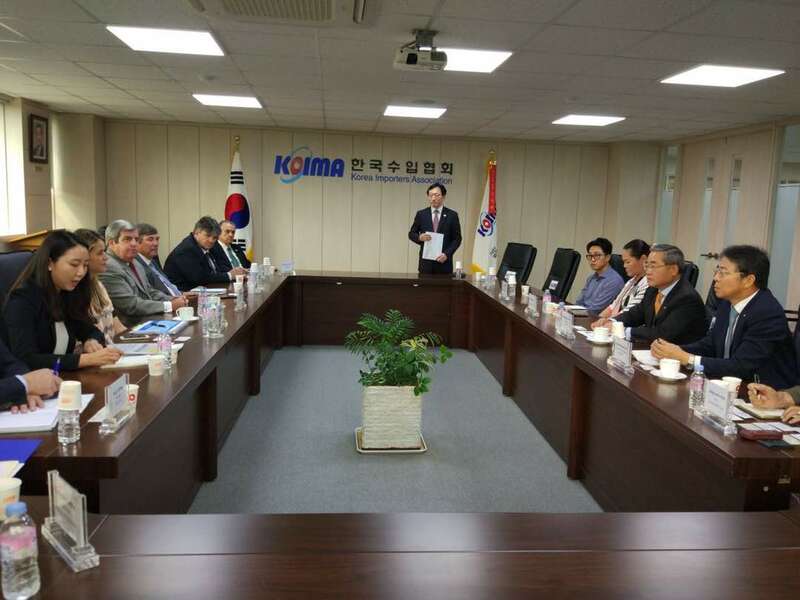 They also held meetings with representatives of the Korean company “Posco-Daewoo” as well as with some Korean companies members of the Korean Importers Association (KOIMA) related to the opening of the local market for argentine beef, poultry and fresh fruits. On the occasion, a "Memorandum of Understanding on Cooperation in Animal Quarantine, Inspection and Sanitary Control" was signed between the National Food Safety and Quality Service of the Argentine Republic (SENASA) and the Animal and Plant Quarantine Agency of the Republic of Korea (APQA). This MoU strengthens the relations between both agencies in the context of the provision of Argentine vaccines against Foot-and-Mouth disease (FMD). It is worth mentioning that between 2016 and 2017, Argentina has exported some 21 million doses of vaccines against FMD to Korea, holding about 55 % of the local market. During the visit, all negotiations were directed to the opening of the Korean market for several Argentine products, such as fresh boneless meat, poultry, meats and sheep meats, blueberries, standing horses, lemons and cherries."